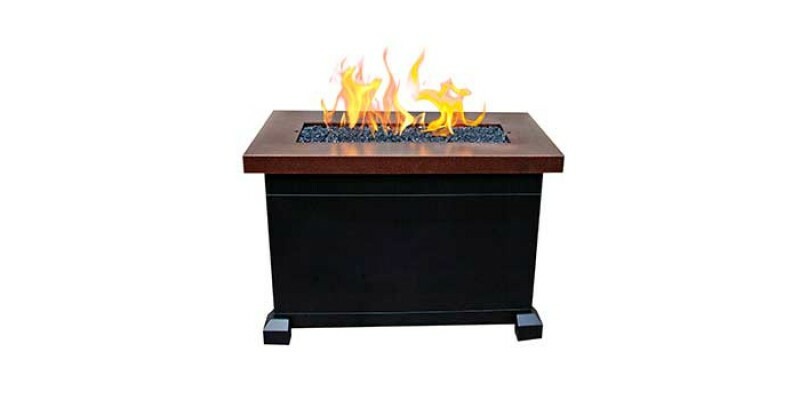 The Monterey centerpiece will enhance any outdoor living space with its elegant design and clean, beautiful flames. 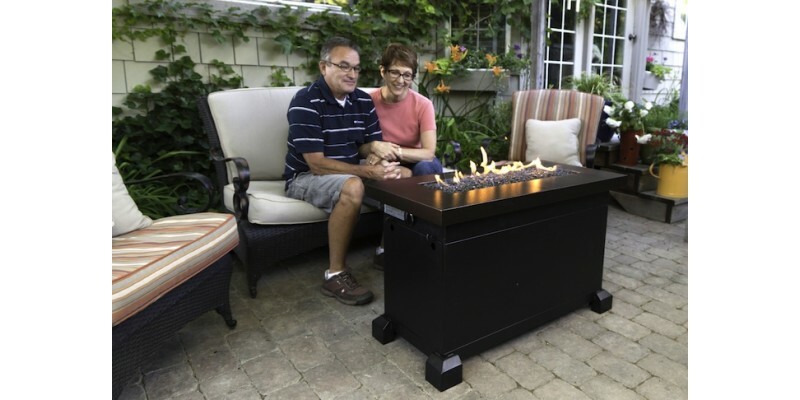 Find an escape from the daily grind right on your back patio with the Monterey Fire Table from Camp Chef. 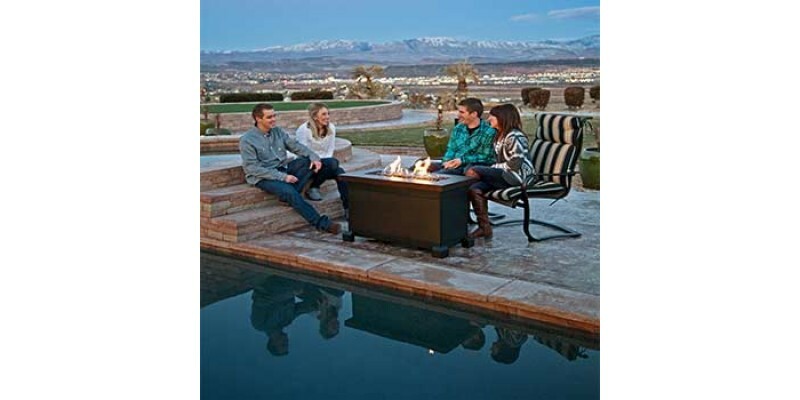 The Monterey acts as an excellent centerpiece to your backyard with its elegant design and clean, beautiful fire. 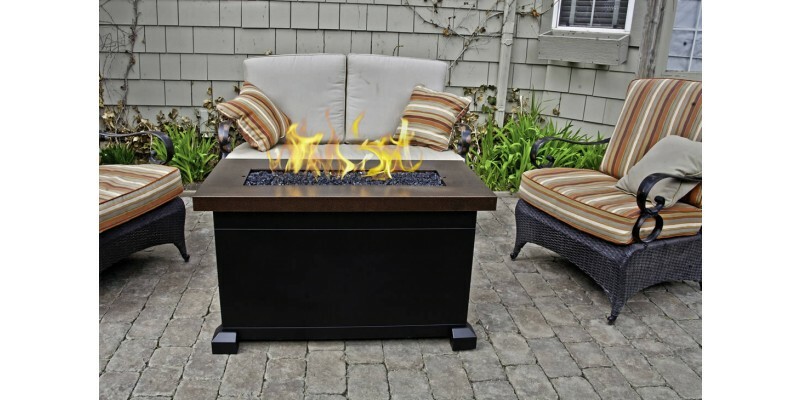 Go from coffee table to fireplace by removing the penny-vein lid to reveal a glowing bed of flames. 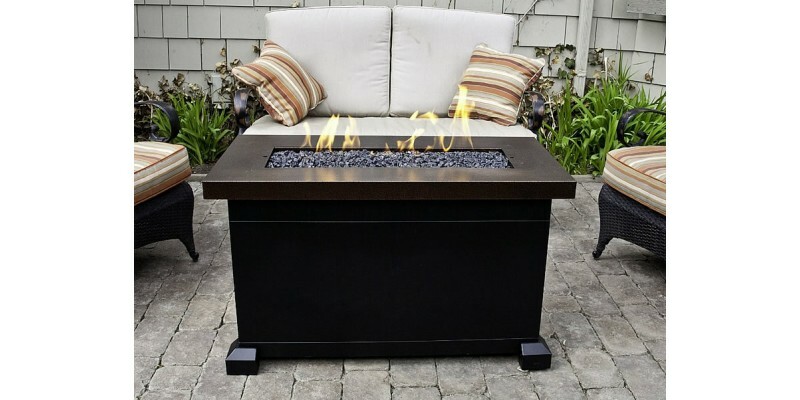 Shiny black fire glass provides a lovely "bed of ashes" look. 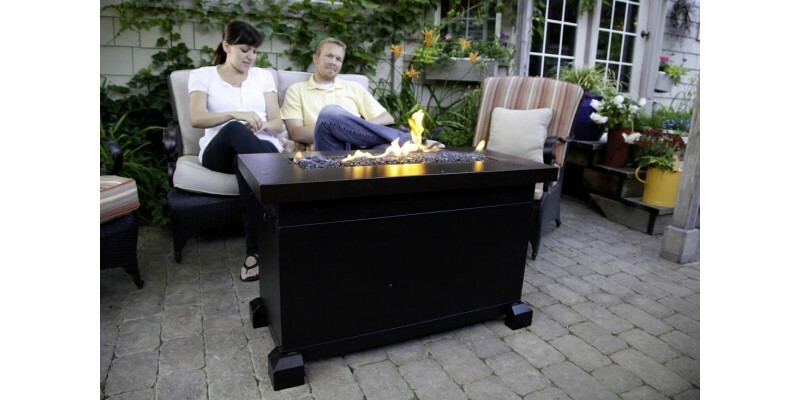 But this fire table isn't just about appearance. 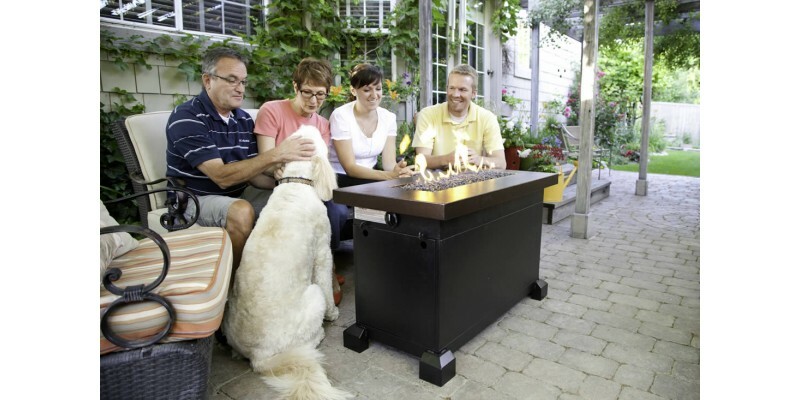 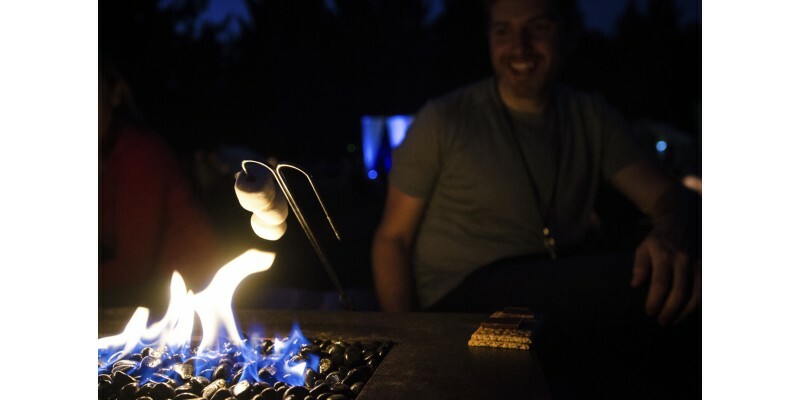 Matchless ignition and a safety shut off valve make the fire pit practical and easy to use; you can also store your propane tank inside the unit. 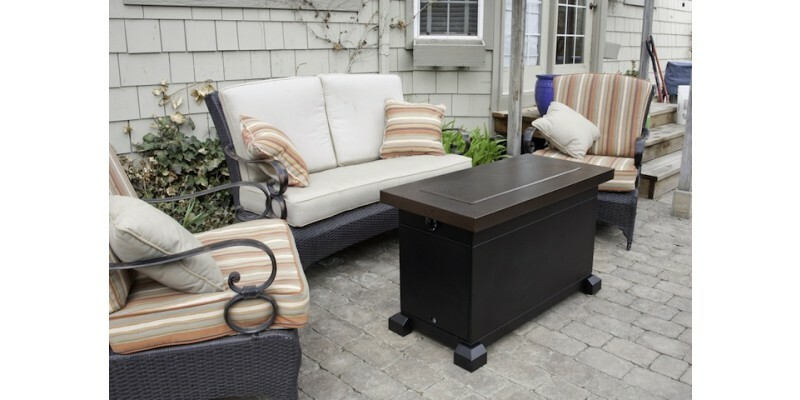 Step up your back patio decor this weekend with the Monterey. 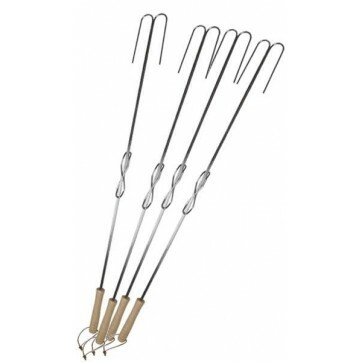 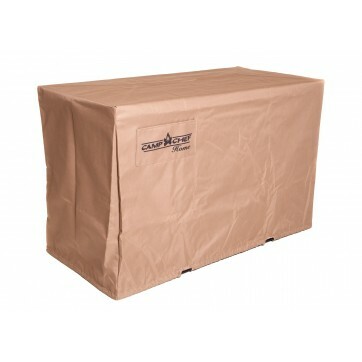 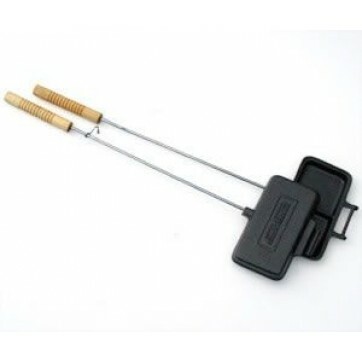 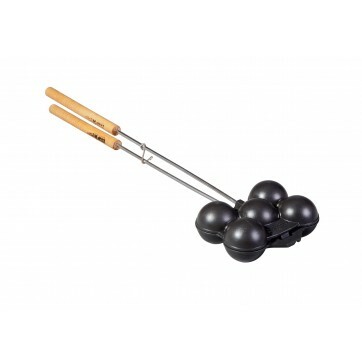 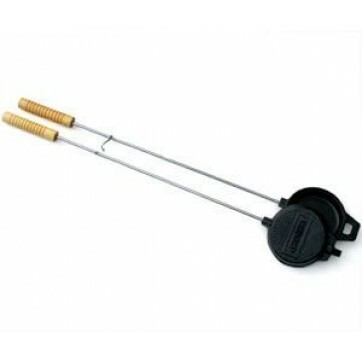 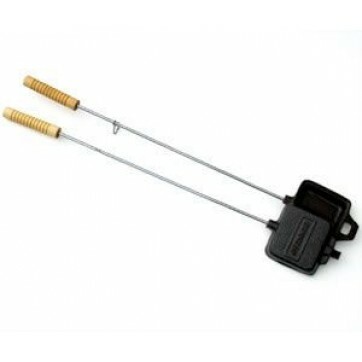 Camp Chef Monterey Propane Fire Pit is rated 4.0 out of 5 by 1.